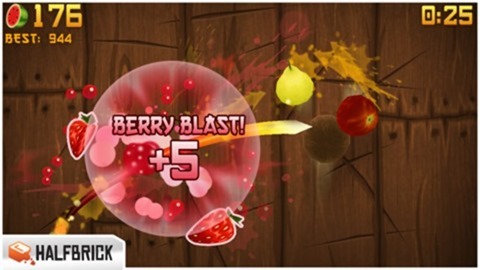 Fruit Ninja is one of the most popular game in any mobile device for casual gaming. Product of Halfbrick this game runs on the simple concept of slicing the fruits with the help of Samurai swords by swiping your fingers across the screen. 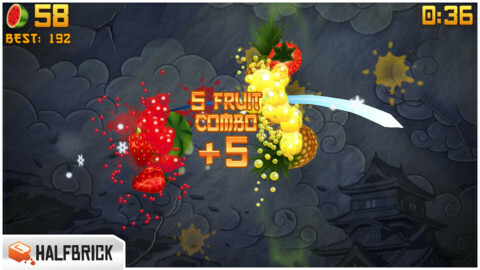 While you can unlock new swords, gain achievement points on the way of playing. 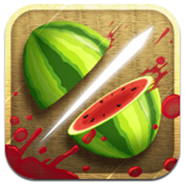 Today, Halfbrick has delivered an updated version of Fruit Ninja for the iOS users whom like their fruit sliced in half, including support for the larger display of the iPhone 5, and a bunch of new in-game goodies and achievements. However this addictive game was in market for a long time and people somewhat began trying some other addictive games like Subway Surfers, Angry Birds, etc. I mean i don't compare what people have moved on to for casual gaming but i do have been spending less time for what i did previously used to, but for this new update i am surely looking forward to check this game out. 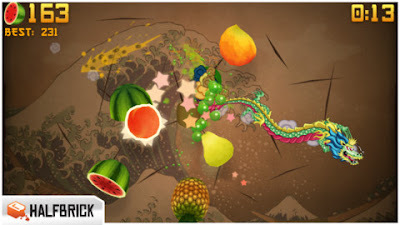 As you can probably tell, I quite like Fruit Ninja, and there are millions of others out there enjoying the title just as much. 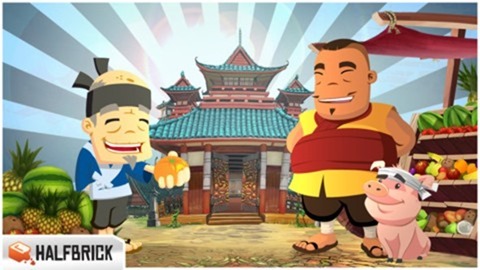 Although the support for iPhone 5 is perhaps the clincher of this update, all iOS users will want to grab version 1.8.4 for all the other bits and pieces that’ve been thrown in. It costs, as usual, 99 cents.